Savita Halappanavar died on this day 4 years ago in Galway University Hospital. She died in suffering and in pain, because she was pregnant, having been denied basic medical care she and her husband Praveen repeatedly requested. She died because abortion is illegal in nearly all circumstances in Ireland and even now remains so; but she also died because she was a pregnant migrant woman and a woman of colour in Ireland. Migrant women are twice as likely to die in pregnancy in Ireland as women born in Ireland and the UK. Nora Hyland, Bimbo Onanuga, and Dhara Kivlehan are all names of migrant women who’ve died in or after pregnancy in recent years in Irish maternity hospitals who should be alive now with their children. Only a few months ago Malak Thawley died in an operating theatre of the NMH after basic surgical equipment “could not be found” to stop her bleeding to death. Our maternity service is not a sufficiently safe place for migrant women, Traveller women, and women of colour; the denial of access to abortion in it only renders it more so, as demonstrated most recently and horrendously with the barbarities the Irish state perpetrated upon Ms Y.
I remember Savita and I remember the tears I cried for her on hearing how she was left to die unnecessarily. I remember Bimbo and how she was told she was exaggerating the pain which was a symptom of the uterine rupture she later died of, and how it took her partner and AIMS Ireland THREE YEARS of fighting to even get an inquest opened into her death. I remember Nora Hyland and how she died of a massive cardiac event after waiting over 40 minutes for a blood transfusion that never came, and with three times the recommended dose of Syntometrine in her body, a component of which is known to have adverse cardiac effects. I remember Dhara Kivlehan and how her doctor told her husband as she went undiagnosed of a fatal liver disorder that it was harder to diagnose Indian people with jaundice, a key indicator of liver failure. I remember all these women, their partners, and their families and how they were not only mistreated appallingly by the Irish maternity system in life, not permitted as pregnant women to have the final say on their own bodies because of the existence of the 8th amendment, and how further indignity and injury was heaped upon their grieving families by the Irish state and maternity hospitals in refusing to address properly the causes of their death, apologise for them or treat their partners with the respect they deserved. I remember and I fight for change that sometimes seems as though it will never come, especially on days like today where the darkness closes in early and the memory of the horror and outrage and grief of 4 years ago weighs heavily on me. But I do fight. Solidarity and love to those of you who fight with me, those of you who’ve fought for years and decades longer than me, and those of you who’ve seen more suffering caused by Irish law and Irish maternity hospitals than I can imagine. We will remember and we will bring about change. This is my third time of posting this. I said this last year, and the year before; I say it again this year, and will every year until everyone in Ireland with a womb owns their own body. Posted in Abortion, Reproduction. Bookmark the permalink. I feel so sorry for the women and their loved ones who were failed so badly in Irish hospitals. 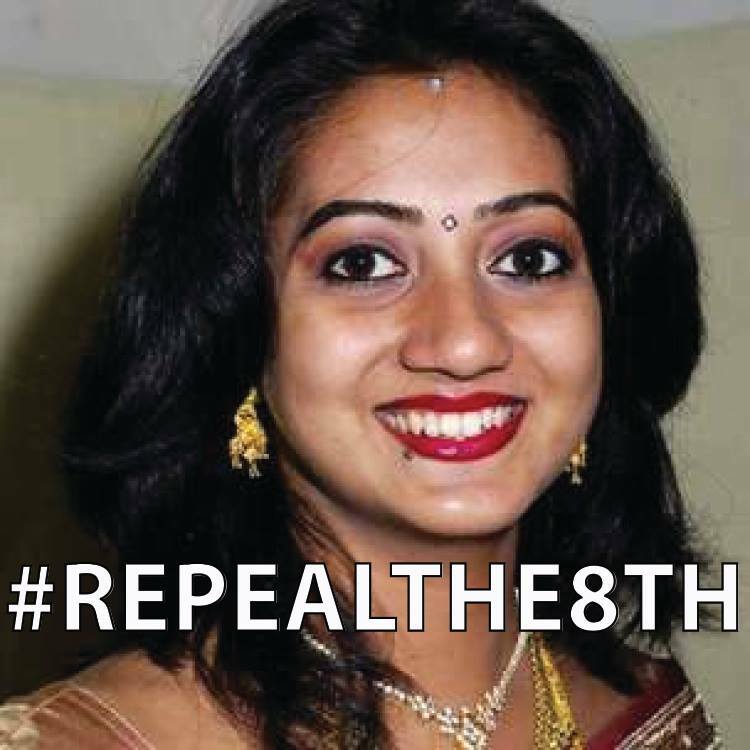 Savita died because of the reactionary and toxic teachings of the Catholic church. Shame on them.